The event will mark the 50th anniversary of the foundation of the club and will be attended by founding members, current and past players, friends of Harlequins as well as luminaries from both the Munster Cricket Union and Cricket Ireland. There will be special guests in attendance and numerous presentations will be made on the night. The Cork International Hotel has reserved a limited number of rooms at a preferential rate; further details can be obtained directly from the hotel. 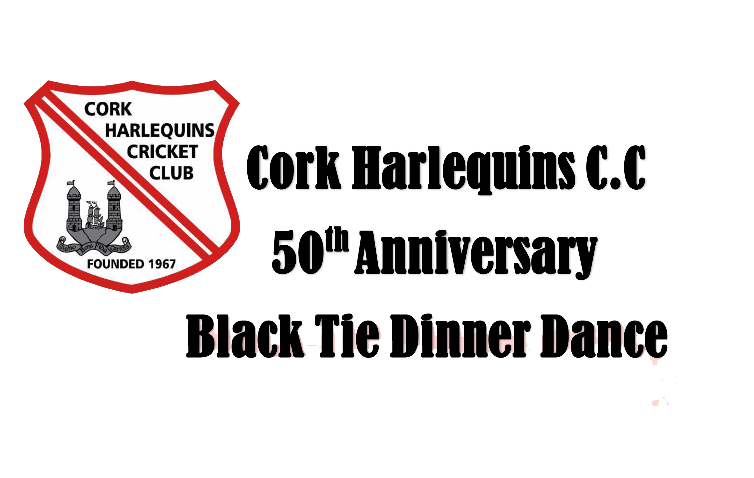 The committee look forward to seeing you on what will be an enjoyable evening as we celebrate 50 successful years of Cork Harlequins cricket.